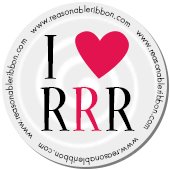 Really Reasonable Ribbon Blog: Really Reasonable Ribbon Challenge #157 Winners! Challenge #157 was lots of fun with our Hearts theme. We saw a wide variety of wonderful projects this time around. Many thanks to all who participated. Congratulations to our top 3 for a job well done. Grab your "I made the RRR Top 3" badge (located on the right column of the blog, near the bottom) and display it with pride. You ladies did a fantastic job! Thanks again to everyone who played along with us on our Hearts themed Challenge. I hope to see you all back again for Challenge #158 which is now up and running.